We are living busy lives—busier than ever—juggling work, family, volunteering, and all our other obligations. It can be hard to find the time just to hang out and relax as a family—let alone spiritually nurture our kids and ourselves. We hope this will help. Faith at Home is designed to offer support and encouragement for living and sharing our faith in our everyday lives. We have reflections on parenting, some ideas for nurturing faith, and some fun stuff too. Let us know what you think, and we'd love to hear about more helpful resources and ideas! Are you running out of things to do yet this summer? Check out the Slow Summer printable resource from The Salt Project. Its a $5 download, which you can print at home filled with activities and reflections for families and kids. Also from The Salt Project comes the Six Seconds Challenge. Think you are too busy? Think again. "In six seconds you can change with world." Collecting rocks must be one of the most low-tech summer activities there is, but The Kindness Rocks project turns it into something beautiful. It takes that simple act of collecting rocks and uses it to spread the love. Check out the video below. You may want to try it with your family. Read more about the Kindness Rocks Project here. "We weren’t consciously praying or talking about God or singing hymns. But for me, this time of enjoying each other and appreciating God’s creation was a spiritual practice. And so I wonder what other opportunities the summer months might bring for simple moments of togetherness and appreciation..."
Read the whole super helpful blog post here. While we're thinking about resetting and rebooting, this blog post by Will Wheaton on seven things he did to reboot his life is one I come back to every so often when I need a little reminder and some inspiration about finding a healthy life balance. He wrote a follow up post a year later to track his progress and see what difference those seven practices made for him. 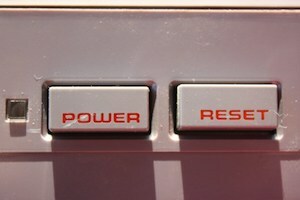 If you need a little motivation and inspiration or some practical ways to reboot, this is for you. 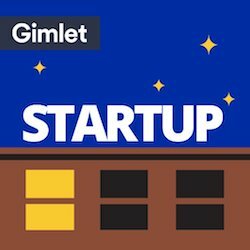 One of my favorite podcasts is called StartUp by Gimlet Media, and I found this particular episode "Running a Family and a Business" wonderfully profound. It actually gave me goosebumps and got me choked up. (I'm not crying. You're crying.) 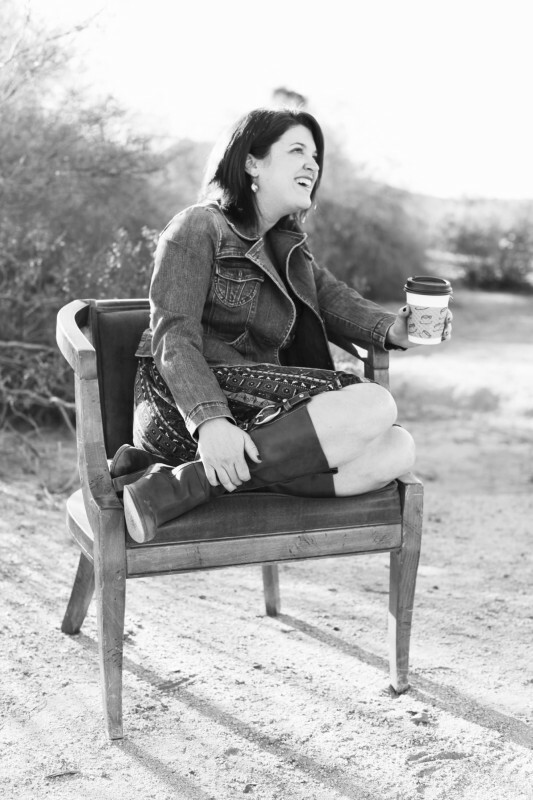 It's a conversation between an entrepreneur and mom and an executive coach about exploring the tensions between your job and being a parent. I can't recommend it enough! You can find the StartUp Podcast on iTunes here. In church we call this "Sabbath Time"—time set apart to rest from our labors so that we remember that we not in charge of the entire world (God is), and that our value comes not from what we produce but who we are as children of God. 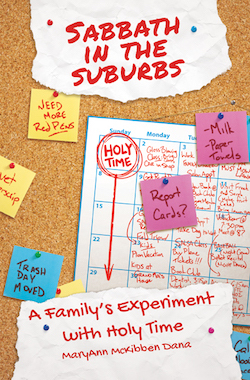 MaryAnn McKibben Dana has written a book about her family's experiments in keeping sabbath called Sabbath in the Suburbs: A Family's Experiment With Holy Time, and she created this great video series about it. Here are two of my favorites. You can find all five videos here on her website. 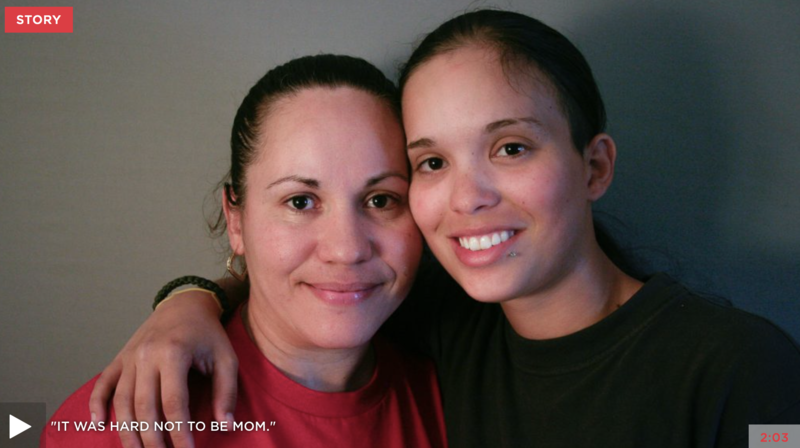 StoryCorps has a sweet series for Mother's Day called "Thanks, Mom." Check out these touching four short (3 minutes or less) stories about mothers and daughters, including a mom with a disability, a mother and daughter that served together in Iraq, navigating adoption and identity, and a mom that fell asleep at stop lights she worked so hard to provide for her daughter. StoryCorps has compiled many of the best stories about moms into a book called "Mom: The Celebration of Mothers." Did you know, Easter Sunday kicks off the Season of Easter in the Church? It is a 50 day season (longer than Lent!) where we reflect on resurrection and new life. 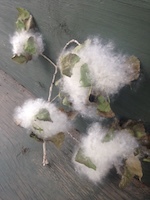 How can you keep the season? 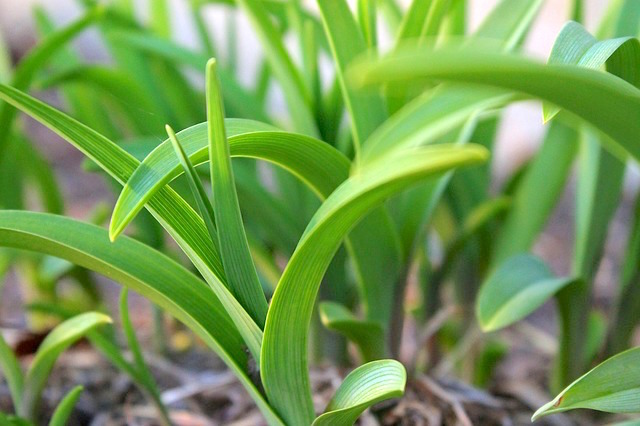 My friends at Build Faith have eight good suggestions: Easter Greeting, Enjoying Nature, Be Grateful, Poetry, Pursue Virtue, Special Delivery, Party, and Lighten Up! Read the whole post and get some ideas here. I'll start out with the first one. I am busy!!! It is a crazy, busy time of the year. 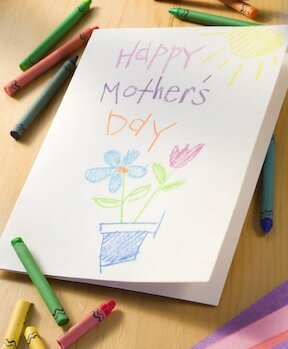 I did a little research (aka googled) and according to Wikipedia, Anna Jarvis established the 1st Mother's Day in 1908. Thanks, Anna! So, I am going to guess that Anna was not busy just finishing a big Easter celebration, managing 1st Holy Communions, shuffling kiddos among the spring sporting leagues, packing up boy scouts for their annual camping trip, gearing up for Memorial Day, volunteering for year end school celebrations (and there are many!!!! ), handling Teacher's Appreciation, planning for dance recitals, organizing end of year school thank you gifts, and the list continues. ... Yes, Anna set the stage for one more item on my Spring 'To Do' list. Thank you, girlfriend!" Read the rest of Rachel's post and her other thoughts on Mother's Day here. 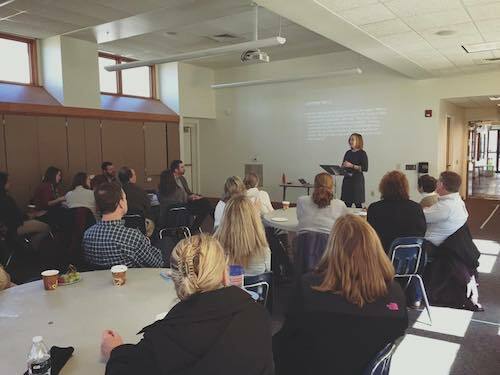 Thanks to Rachel for sharing such great reflections with Faith at Home! 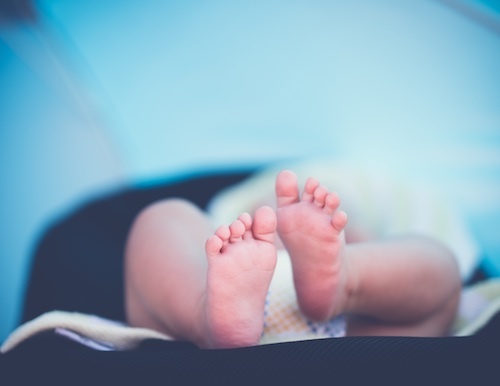 Rachel Myers writes about the battle of the wills between her and her daughter on her blog, Let's Learn and Grow. "So, I am going through a tough time with my Kinder daughter. Wow!!! Did God make her very unlike me? He has a plan and she is just how He wants her to be. Yet, God's creation of me and His creation of her are having a tough time existing." After a quick trip into Target, "I wearily walk back to the car while holding her hand. Well, maybe not as she pulled away to enforce that she does not need my grasp. 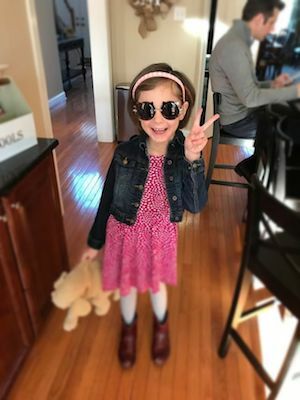 She breaks the silence by saying, "Mom, do you know that I love Dad more than you?" 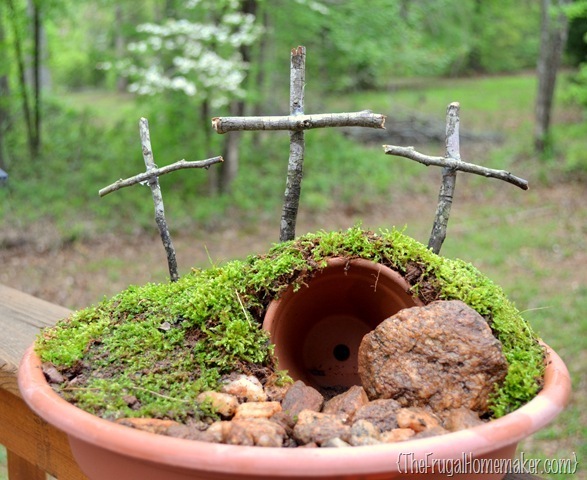 Check out this great step-by-step tutorial from The Frugal Homemaker blog on creating this Easter Garden or Empty Tomb craft for Holy Week and Easter. She writes, "My friend Christa wrote a great post on the significance of Good Friday in our lives. I love how she says, 'This weekend defines the existence of my entire life.' And she is so right. Because on Good Friday, my Lord was crucified on a tree for ME… to take my place…to give to me eternal life. Without this weekend, I would have no hope, no joy, no peace of having my sins forgiven and an eternal home in heaven. So this weekend is very important to me and I hope to you too." "You just can’t imagine what they must be going through. You don’t know what you could possibly do to help. You have no idea what to say. Thing is… No one does. There is no magic formula of care and concern, words and deeds that will make this terrible thing better for this person you love. The death of a spouse, the cancer diagnosis, the divorce, the job loss, the debilitating accident, the incarcerated daughter… You can’t fix it. ... There is no one right thing to say or do; but there are always meaningful things you can say or do." 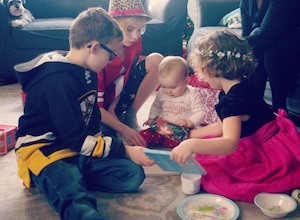 Read Erin's 10 Ways to Care at her blog. Allison Likes has some great practical ideas of observing Holy Week at home with your kids in this blog post, including Bible lego! 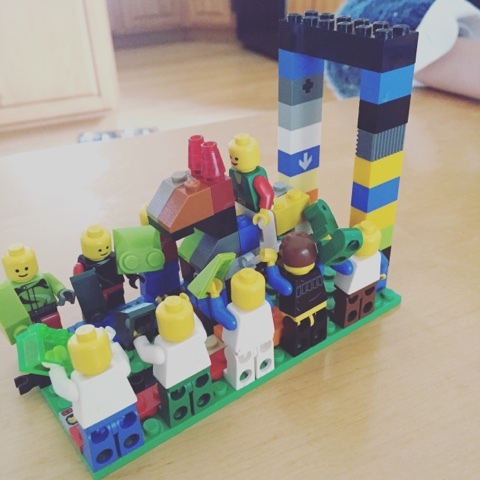 "when my son was in kindergarten we added a new element to our Holy Week observances: The Holy Week Lego Challenge.... For the past two years, I’ve read an assigned Bible story each day of Holy Week, then my son creates the story with his Legos. While he’s building we often talk through the story, answering questions and making connections to our lives today." Read the whole post at the Grow Christians blog. Did you catch this great viral video of a dad being interviewed on BBC when his kids break into his office? You can view the follow-up interview with the family here—not as funny but captures the challenge have trying to have an adult conversation with little kids around. Looking for a spiritual practice you can do in your pajamas? Check out this Lenten study guide Pastor Keith created with his friend and fellow pastor, Martin Malzahn, who is the Chaplain at Wagner College in New York. 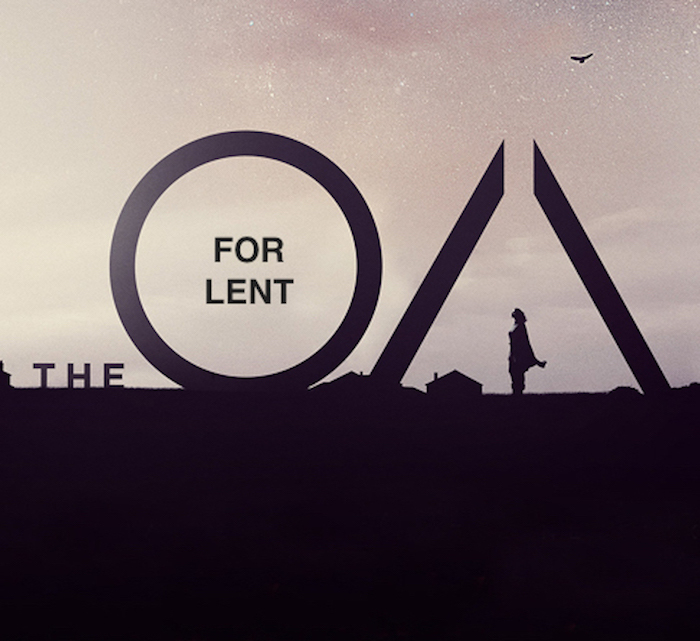 They think the hit Netflix show The OA is filled with spiritual themes and raises important questions around faith, meaning, and the afterlife that are worth exploring in greater depth. For each episode there is an episode summary, podcast conversation, Scripture connections, reflection questions, and suggested spiritual practices. You can find the project here: theoaforlent.com. There is also a Facebook page. Please note that the show itself does contain mature themes and content and therefore may not be suitable for younger viewers. Changing Diapers Is Holy Work. Who Knew? "When our natural reason . . . takes a look at married life, she turns up her nose and says, 'Alas, I must rock the baby, wash the diapers, make its bed, smell its stench, stay up nights with it, take care of it when it cries . . . and on top of that care for my wife, provide for her, labor at my trade.' . . . What then does the Christian faith say to this? It opens its eyes, looks upon all these insignificant, distasteful, and despised duties in the Spirit, and is aware that they are all adorned with divine approval as with the costliest gold and jewels." “parenting was nothing short of a perfect opportunity to deepen mindfulness, if I could let the children and the family become my teachers, and remember to recognize and listen carefully to the lessons in living which would be coming fast and furious. 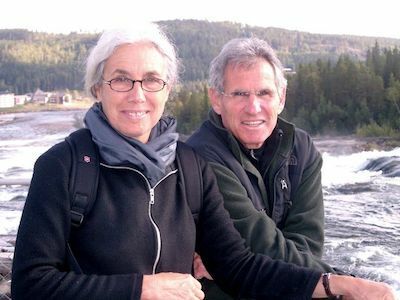 …These trials are not impediments to either parenting or mindfulness practice. They are the practice, if you can remember to see it this way.” You can read my whole blog post about my experience with Finn here: My Soul Friend Finn. A great comedy routines about parenting comes from comedian Jim Gaffigan. This is a seven minute excerpt from his Netflix comedy special "Mr. Universe" on having four kids. 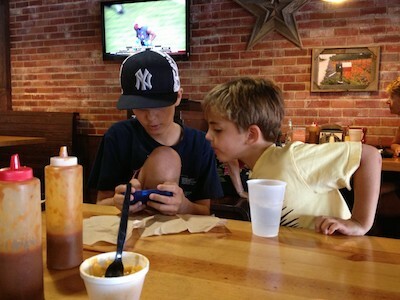 "We’re the first generation of parents in the age of iEverything"
Are you constantly figuring out how to manage, limit, or encourage your kids' use of digital technology? There's good reason for that. We are making it all up as we go—because we are the first generation of parents to have to deal with it. 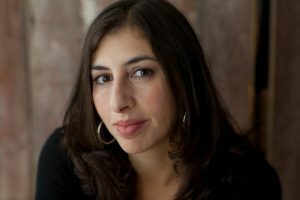 In her spot-on reflection in the Washington Post, Allison Tate writes, "It struck me recently, after one of my quiet carpool rides, that my generation of parents...is perhaps the last to straddle a life experience both with and without the Internet and all its social media marvels. My generation, it seems, had the last of the truly low-tech childhoods, and now we are among the first of the truly high-tech parents." The season of Lent begins with Ash Wednesday on March 1st and it lasts 40 days, bringing us to Easter morning. Lent is a time of reflection, refocus, and repentance (turning toward God). One way to help unclutter our spiritual lives is to unclutter our homes. 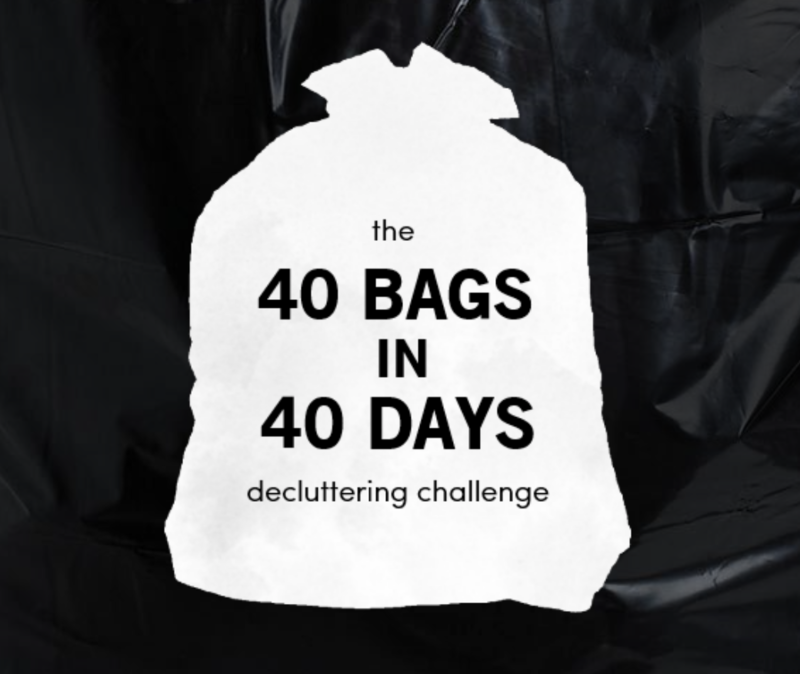 Each year blogger Ann Marie Heasley issues a "40 Bags in 40 Days Challenge" for Lent, inviting people to declutter one area of their home each day. She includes lots of resources on her blog. If it seems too ambitious or overwhelming, just move at your own pace and check out this blog post on The Spiritual Side of Decluttering by my friend Charlotte Greeson. "These are the days we’ll miss and these are the days that also feel like they won’t ever end. It can be both at the same time, I know that now. We get to hold the wonder and sleepiness, the boring and the magical at the same time, the work and the delight, the mundane repetition and the ferocious love altogether, it’s not one or the other." I have never been so tired in my life. (There. Out loud. I said it.) I have also never been so happy or fulfilled. I have never juggled so much responsibility and learned so deeply what it means to be selfless. Such things are transformative if we allow them to be. The Right Now is so beautiful, it makes me dizzy with gratitude and it also makes me want a nap." In one of my favorite books on parenting and faith, Rabbi Dayna Ruttenberg writes, "This love, it's big. It changes us. It's messy and it's complicated and it swirls around all the exhaustion and frustration and irritation and ambivalence and desperate desire for grown up conversation. Parenting isn't one long extended frolic in a sunny meadow as unicorns and butterflies cavort nearby. it's gross and it's gooey and it's crazy making and it's hard as hell. But inside all of it, there is this feral, fierce love for our children that drives us and changes us and takes us to the brink of insanity, and back from it, again and again and again." For a little more on this, check out her podcast "Nurture the Wowcast," which has five bite-sized episodes of 5 minutes or less on parenting as a spiritual practice, living in wonder, raising optimistic kids, making the most of now, and parenting the child in front of you. 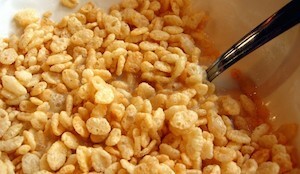 One of my favorite recent blog posts on parenting and faith comes from Sarah Bessey, who had this epiphany when cleaning up Rice Krispies under the kitchen table: "God is present in the ordinary and the regular and the uncelebrated in a way that I never could have fathomed when I thought God’s best was only either on stage or in a pulpit or a mountaintop or an arena or far away." Read her great blog post here. I think you'll resonate. January 6th marks the beginning of a new church season, Epiphany. Epiphany is a season of light and the Gospel readings are all about the stories of Jesus' life and early ministry. One cool Epiphany tradition is "chalking the doors." 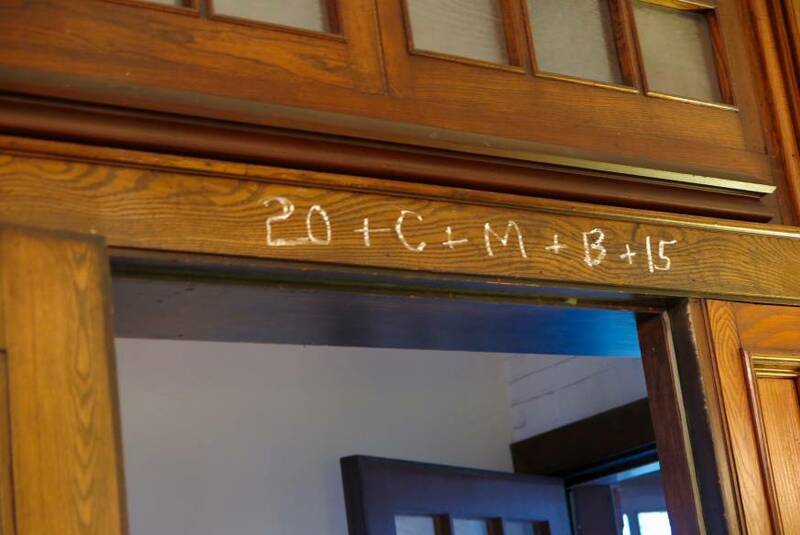 On January 6th write 20 + C + M + B + 17 above you front doors (or another door) to commemorate the season, remember the wise men that visited Jesus, and ask God's blessing on your home. There is a great explanation of this tradition and prayers you can use at home in this blog post by Greg Kandra. 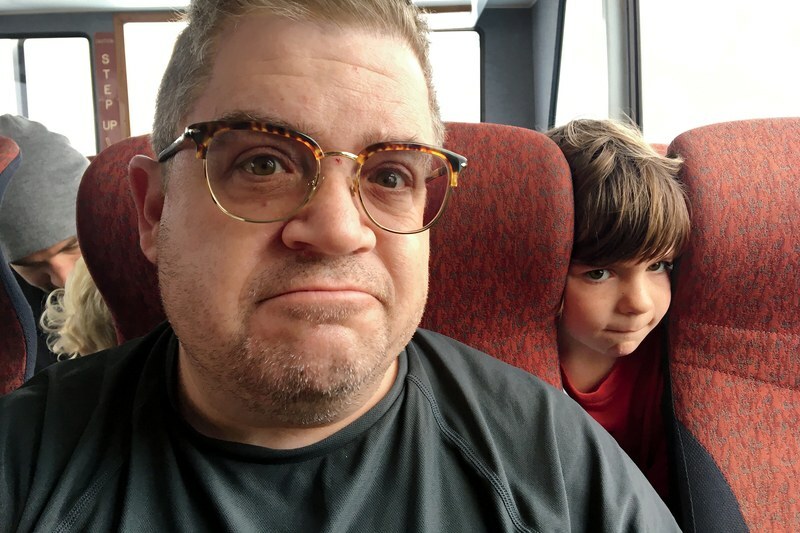 Last year comedian Patton Oswalt's wife died suddenly and he unexpectedly became a single parent. His reflections are profound: "I don't know what kind of single father you are, if you are one or ever will be one. If you're widowed or divorced, adopter or elder sibling. If you're feeling any fear or self-doubt, reassure yourself with the fact that I'm doing this. Me. Spend an hour with me sometime. I can't drive stick. I can't scramble an egg. I can't ice-skate. But I'm doing this. Being a father. I'm in charge of another human being. So you can do this. I promise." Read the whole blog post here. 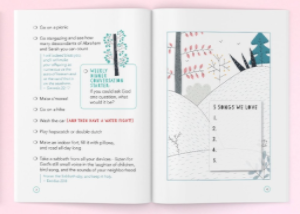 Finally, we love this new resource for helping kids grow in faith called It's Just a Phase...So Don't Miss It and its full of great insights into childhood development and how faith connects to it. Look for us to share more Phase resources with you in the future. In the meantime, check out their website is full of great parenting advice from babies to teenagers.